Best: We were many people. Fierce and fair fighting on all flags. Finally BF1918 is back again. Worst: Server issues. 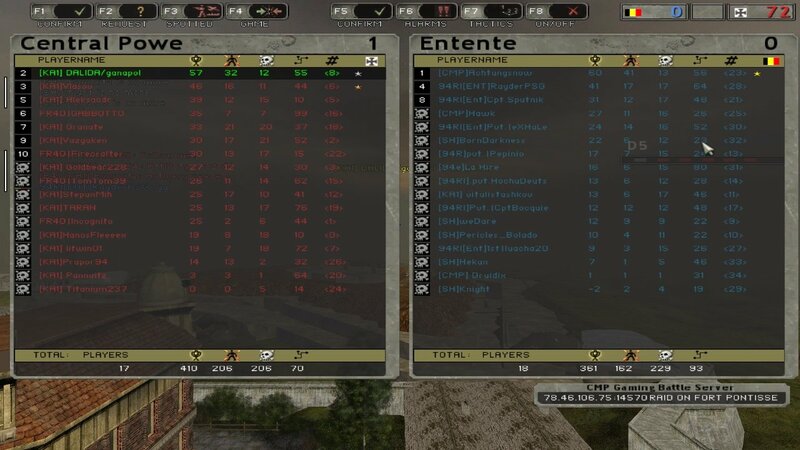 People left the server too fast after first round, i don´t know if it would have been possible to restart the map. I think it would be best for Brazilians (early afternoon) and Russians (late evening) in particular to start the battle one hour earlier. 17 GMT shouldn´t be a problem for Central Europeans. Funniest: No side reached a fullcap, even though it was repeatedly scarce. Best: having fun playing with the team on both sides. Worst: we lost a lot of players, and started a bit too late because of server problems.